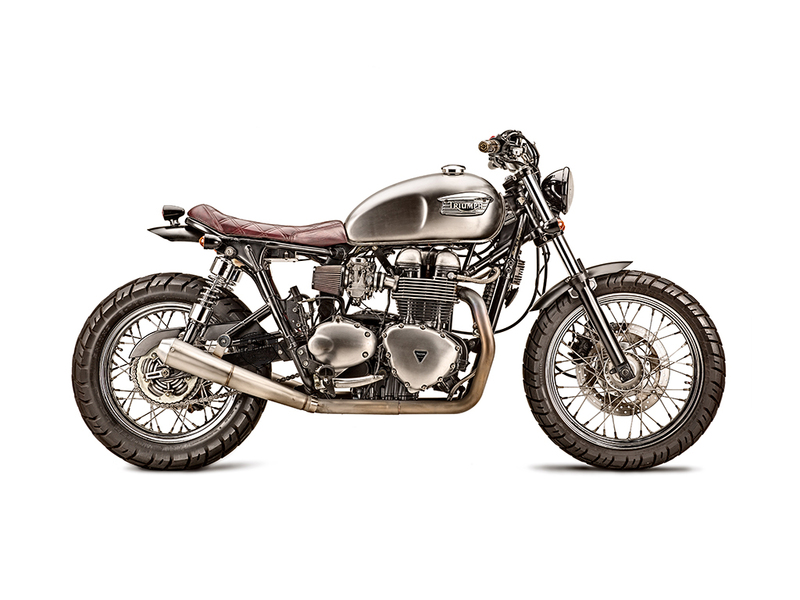 It’s really nice to see a well accomplished ‘Shed‘ build and this 2005 Triumph Bonneville which was built by Senior Art Director Justin Rentzel is a real beauty! 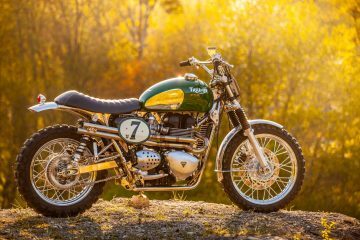 – Justin works at Tattoo Projects in Charlotte, North Carolina, a company who’s founder and CEO is Rudy Banny who under the name of Tattoo Moto builds of some seriously cool machines. 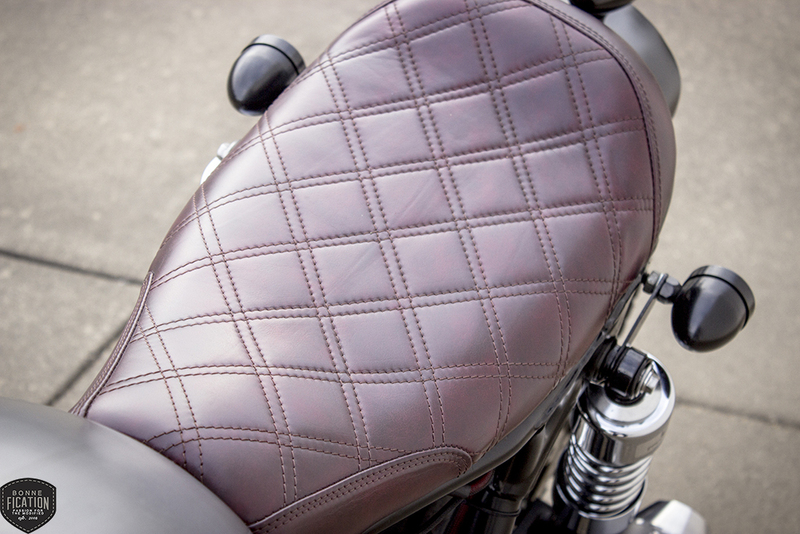 Seeing first hand Rudy’s passion for motorcycles it comes as no surprise that Rudy’s creativity and love of two wheels has rubbed off on Justin, inspiring him to turn his own design skills to motorcycles. 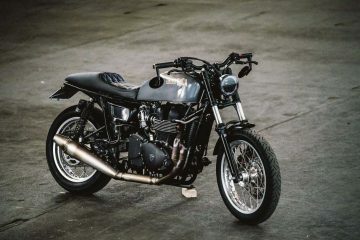 Justin chose a 2005 Triumph Bonneville for his first project, stripping the bike down to it’s base components before it was rebuilt, only using the key parts paired with a selection of custom and off-the-shelf accessories. 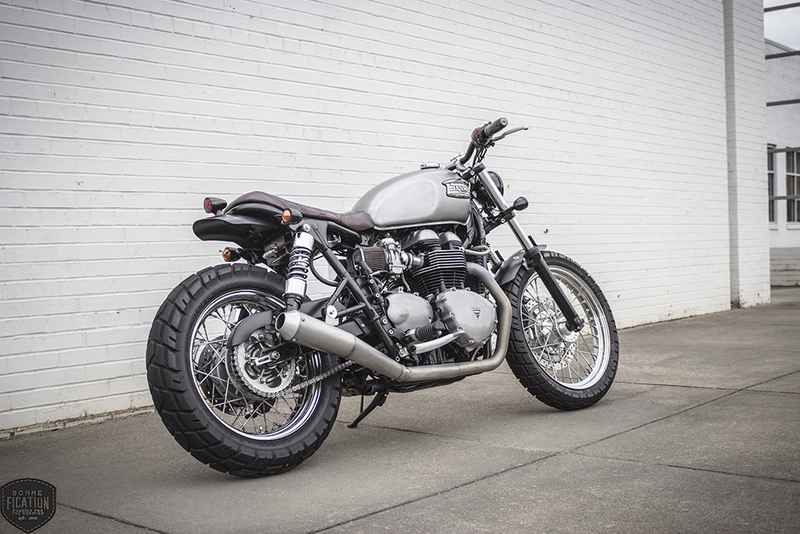 The frame like many other custom Triumphs has been shortened and looped, giving the Twin a more attractive profile. 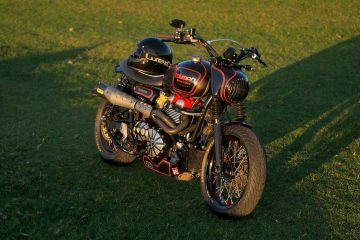 The airbox has been replaced with a custom battery box, which when combined with a Motogadget M-Unit (which does the hefty job of reducing the electrics to the bare minimum) has given this Triumph Twin a stripped back see-through frame. 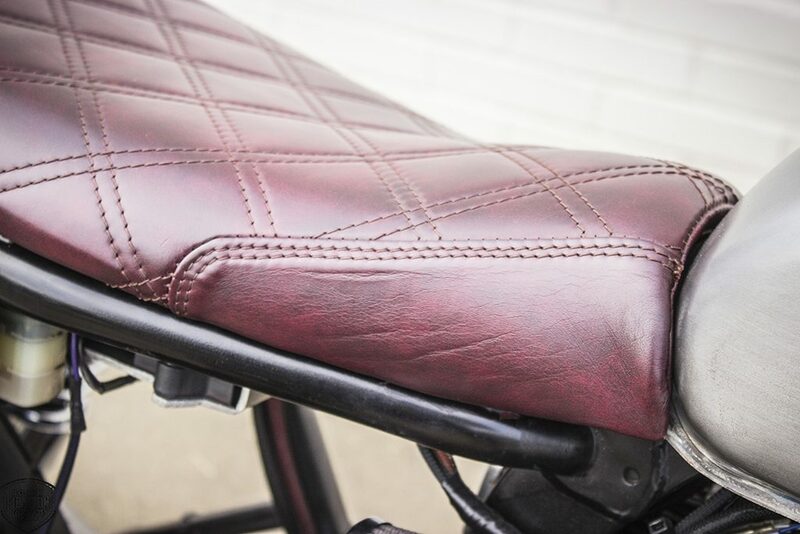 The standard seat is gone, being swopped for custom seat base covered in luxuriance Oxblood Leather by Charlotte North Carolina based Custom Stitching Co. A seat which contrasts nicely against the Industrial looking brushed stainless effect tank which has been finished in clear coat. 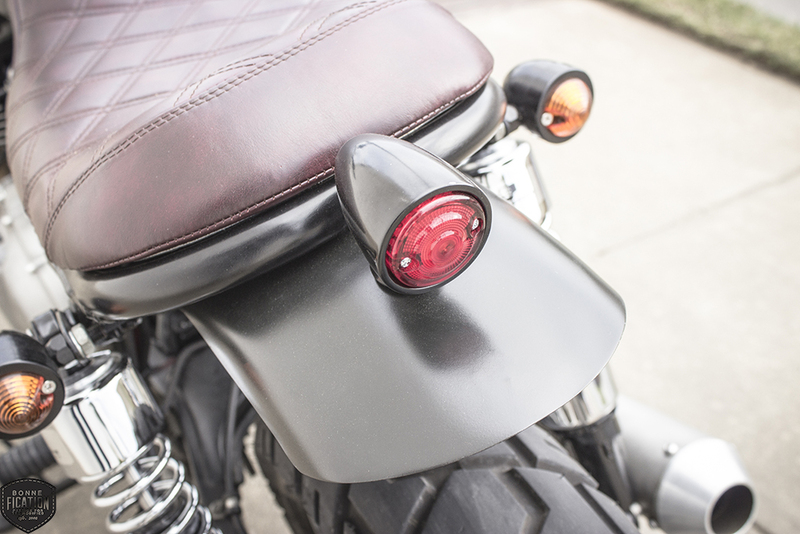 Both front and rear mudguards have been changed for custom shorty guards, and finished in satin black – with the rear mudguard being topped off with a Biltwell Bullet Tail Light. 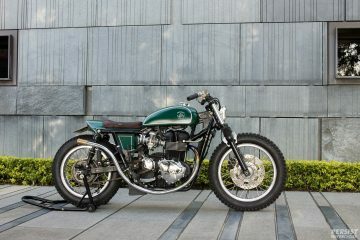 The huge stock indicators have also gone to the great bin in the sky, being replaced by the much smaller and cooler MMCC Bullet Front/Rear Indicators, with Dime City Turn Signal Clamps relocating the front turn signals to the forks. 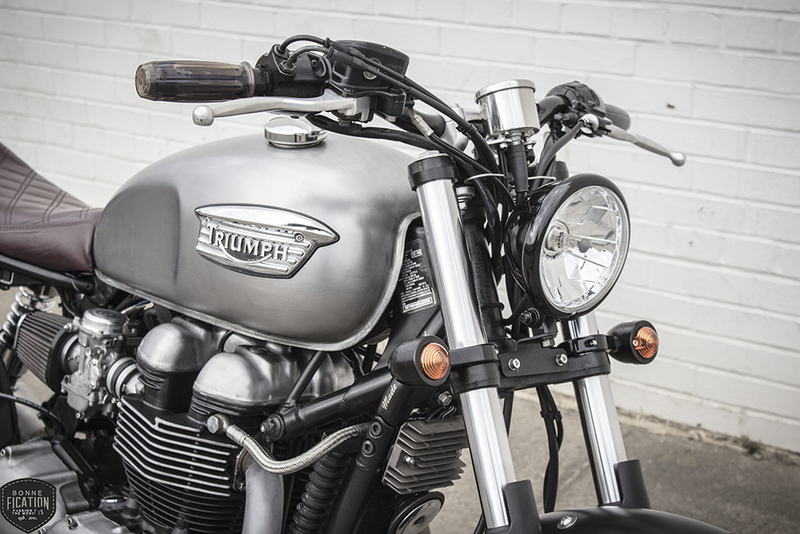 Staying at the front, the stock handlebars have been swopped for black Biltwell Tracker Bars, fitted with brown Biltwell gum grips and the stock switches. 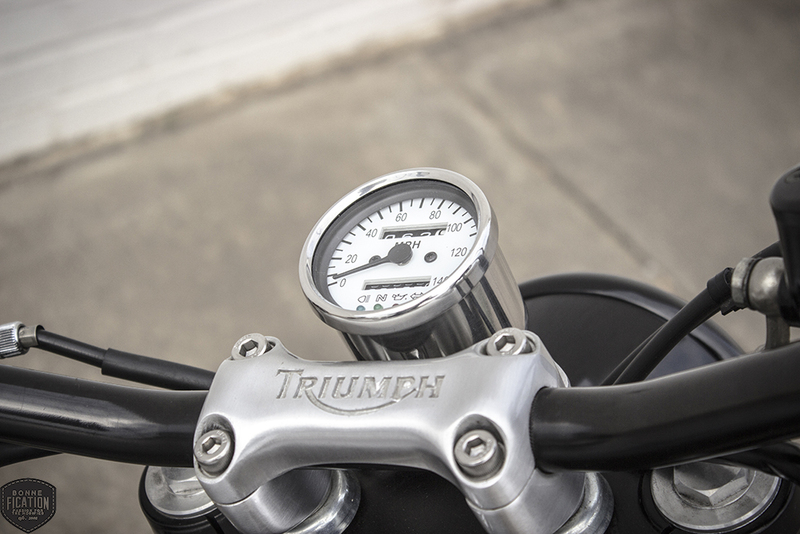 The oversized speedo has been changed for a contrasting polished Dime City XS650 style mini Speedo, which is a doddle to fit on these pre CanBUS twins – a speedo which when combined with a black bottom mounted 4.5″ Drag Specialties headlight does a great job of slimming down the front end profile. 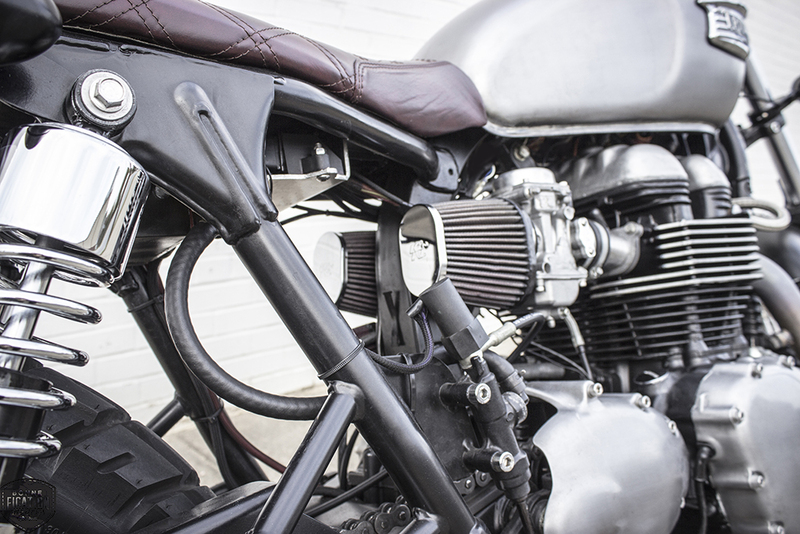 Increasing the Twins performance is a D&D Exhaust full system, finished in faux-ti (titanium-texture) and paired with a pair of K&N air-filters. 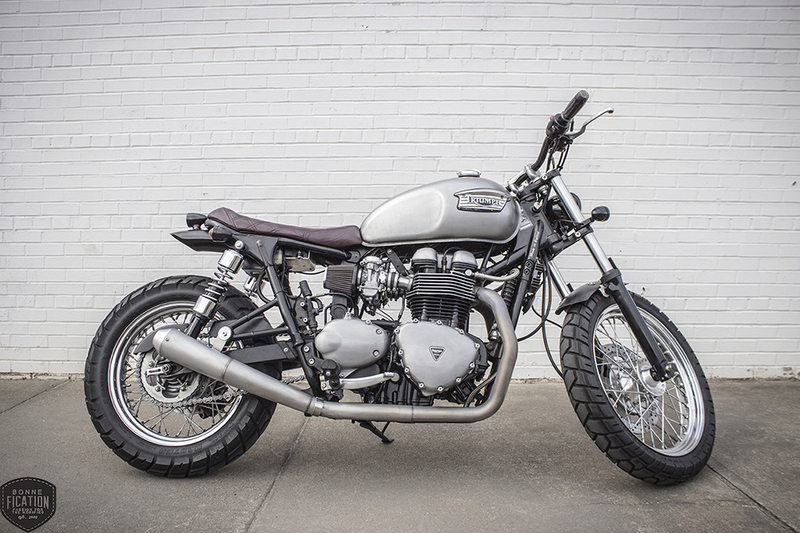 The upgrades continue with the fitting of Progressive Shocks at the back and Progressive Springs at the front. 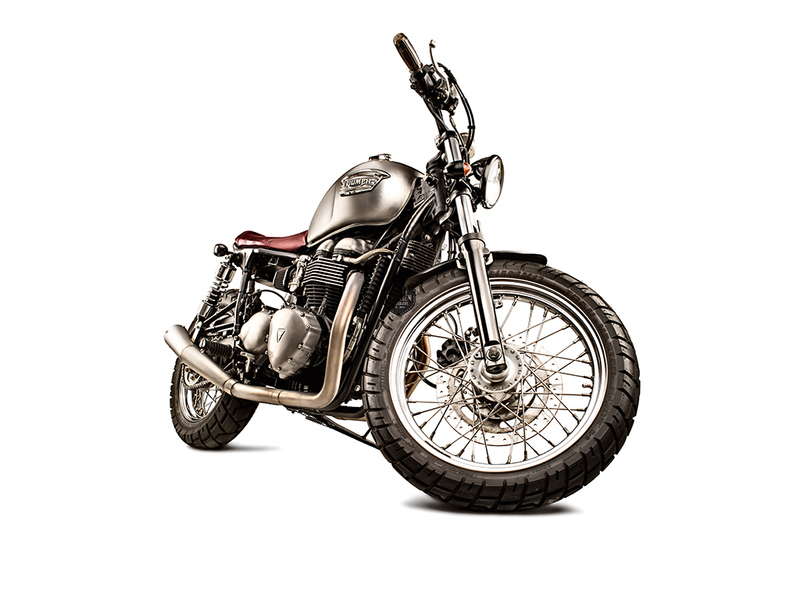 The stock wheels have been retained and re-shod in Shinko Trail Master dual sport tyres. 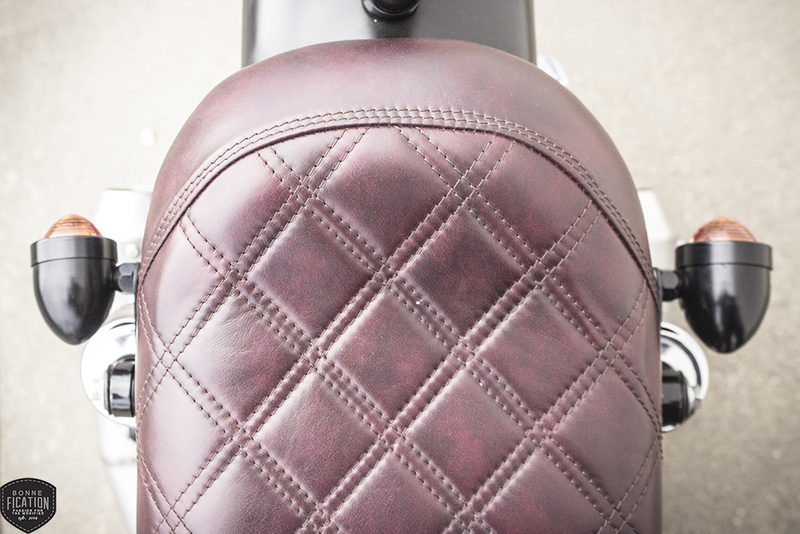 Custom Oxblood Leather Seat by Custom Stitching Co.
Can I have this one please, Its just stunning! !